It’s been awhile since I have shared an update. The last few months for me have been a whirlwind of emotions, prayers, seeking and waiting. Waiting for God can be so hard at times, but I have learned it is worth every minute, and jumping ahead of Him typically does not end well. So, wait I have. Before I returned to Kenya this past October, I had been starting to feel that God was–for the lack of a better description–turning me a bit, back toward home and ministry in the states. When I first had that sense, it was subtle, and I had not felt a definitive direction, so I continued to do what I think believe we’re supposed to do while waiting on God, focus solely on the next step he has laid before us. If there is no step, remain where you are until one becomes clear. Knowing a big part of my heart was in Kenya, and with a surprise offer by a generous friend to pay for my return flight, off I went. As in prior visits, I remained in Kenya for an extended period of time. My primary focus for the trip was to visit with our precious Upendo Boys and check in on our on the ground ministry efforts supported through Love Without Borders. This time when I arrived back at Upendo Home, as much as we tried to get there before sundown, it was dark. When I say it is dark at Upendo Home, I mean it is d.a.r.k. There is only the light of the moon and stars. That’s it. There is a road that leads into the property, and Upendo Home is near the back. Since the road is unpaved, even from Upendo home, the presence of a car coming in can be heard as soon as the tires hit the dirt. As we approached the home, I had my window down, and while I could not see my precious boys, I could certainly hear them. They were off in the distance at first, but getting closer. Before long, while still unable to see them, I knew they were very near and could hear what they were excitedly cheering in chorus, over and over again…”mama, mama!” Oh my heart…oh my melting heart! The fact that these boys are always so excited to see me blesses my soul so deeply. At times, I wonder why my presence matters. They have every practical thing they need and wonderful people around to love and guide. But to them, I am “mama Karen” and to them, my presence matters a great deal. What a humbling honor to be so loved. What an honor indeed. It had been six months since I had seen the boys. To see the boys and how well they are progressing is like seeing a walking miracle! They are doing so incredibly well. They are healthy, happy and thriving. Our Kenyan ministry partners are doing such an amazing job of shepherding these young boys and I know that our boys are great men-in-the-making. I had a similar welcome when the Kitale street boys first learned I was back. As the boys got sight of me, the van was literally swarmed as they tried to get to me. Pastor Paul literally had to make me wait in the van and settle the boys down before I could exit the van. Waiting to get my arms around them was so hard for me, because the truth is, I love this little swarm too. Once again, though hard for me to understand, my presence also matters to these children. That first time back to the Upendo Street Orphan Ministry, I made the mistake of getting out with my phone in my back pocket–truly, I know better–and an older kid, new to town, pickpocketed me while the kids were crowding around me. Thankfully, Pastor Caleb saw him, grabbed him with a vice-like grip, and demanded he give my phone back. When the Kitale boys learned this happened, they begged me to let them render street justice to the thief. Honestly, they probably would have killed the guy. I had to insist they stay back as I told them no. Each of the remaining weeks, when I again engaged with the Kitale boys, they were still indignant and commenting about my phone being stolen…one even said “you can’t steal from our mother!” The Kitale boys are wild, and raw, and rough but underneath that, there is the sweetness of a child and the knowledge of right from wrong. This endears them to me all the more. Aside from that one unfortunate event, the time spent in Kenya was great. The boys have grown like weeds and desperately needed new clothes and shoes. The quality of the clothing in country is not great (the truth is, I despise buying clothes there, they are so cheaply made ) so before I left, I searched yard sales and second-hand stores to find enough gently used clothing to clothe them all. Thanks to our amazing supporters, each boy received his very own space bag of several outfits, underwear and socks, a jacket, belt and new athletic shoes. I have never heard children so exceptionally excited and grateful just to receive clothes. I had them wait their turn, as each child got to open his bag and take things out to look at them as everyone else looked on. Every one of our boys cheered for the others with joy for what they were receiving. Every child uttered their thanks to me and to God. It was such a sweet moment of sincere gratitude. I was so proud of them. Our days were filled with catch-up chats, fun games, video dates and even a trip to a local swimming pool. Though it was cold, all of the kids suited up, climbed into swim rings and jumped in the shallow end of the pool. This was their first time at a hotel and in a pool. To them, it was clearly a miracle day. And oh, was it fun for all of us. The weeks passed quickly, and saying goodbye to them was harder than ever. Each time we are together, our hearts grow closer. As usual, I felt like I was leaving a part of my heart behind and the goodbyes were hard, most especially for my Meshack. While he always has the hardest time saying goodbye to me, this time, it seemed even more so. In fact, he almost missed seeing me off, I could not see him anywhere, but then, he appeared. I was so glad he did, this precious child of my heart. As I wrapped him up in my arms, I sensed he was struggling more than ever, and that was so hard. I held him and spoke love to him as long as I could. With a final expression of pride and encouragement for how well they were all doing, we set off for the airport. This leads me back to the subject of seasons. The longer I have walked my Journey of Faith, the more I realize that the journey comes in seasons. While the seasons vary in what they hold, the one constant throughout my seasons of the past twenty years is the presence of God. Surely, I had seasons before coming to know Him, but they were so much harder than the seasons following my decision to yield my life to doing things his way. This leads me to today, and retrospection on the last few months. The hallmark of the past few months has been uncertainty…not my favorite thing, not at all. Uncertainty about finances (ugh…so wearying), and vocation and what else is next for me. One thing I did sense was that God was beginning to “turn” me. The best way to describe this was I felt like I was in a curve, but could not yet see what lay before me when the road straightened out. This lead to many months of praying, seeking, listening, waiting and a whole lot of crying. While the road ahead is still not quite fully in view, I finally have some clarity on what I am supposed to be doing. Thank you, Lord! First and always, I will remain committed to the boys and the ministry work that is underway in Kenya. I will continue to travel to Kenya as the missionary of the nonprofit I founded to support our work there, Love Without Borders , as often as funding and schedule allows. The next trip in my sight will be in August (I could use your tax-deductible financial support) where I will be again speaking at a three-day women’s conference and helping our in-country partners with other local ministry. I expect this trip to be around two-weeks in country time, so if you have any interest in coming along, let me know. I have two other women on board to join me. While they are both sponsors of Upendo Home, you do no have to be a sponsor to go. Second, God has whispered to me to return to the project begun before he led me through the extended season of time in Kenya. You see, many years ago, God placed women’s ministry on my heart. He set me on a path of ministry to women, which included two international mission trips focused on sharing His gospel and to the creation of the Sisters in Fellowship mentoring program (which I’m praying about dusting off and formally launching). I enjoyed occasional speaking engagements and the passion surfaced to begin writing on a subject I so dearly love…Bible study. I am more excited than ever to dig into studying, researching and writing about this topic. It has been elating to receive several confirmations that this is the right path. First, I have already been invited to share the study with a local church’s women’s summer group. What an incredible thing to be so trusted! I also literally just received a text message from a friend, as I was writing about this topic in this blog post, saying that she was praying for me to have God’s guidance as I write the bible study. I love when God uses people to provide us with confirmation. A mere coincidence? No. Finally, (bravo if you have read this far!) I have opened my home to two young women to help provide me with some income and am also beginning to promote my consulting business, offering my services for personal and small business communication, branding, marketing and events. I just finished building an all new website, which was a bit tricky as I am now tri-vocational. While I am still tinkering (I am incessantly picky) I am pretty excited about karenmichalle.com. The new website will also help me with marketing SEEN: Hope Prevails when it’s ready for sale. So (whew!) there you have it. If this all sounds a bit messy, it is! A few months ago, during one of those times of praying for direction, God asked me if I would “trust him in the messiness.” Oh, how I love things to be ever so mapped out and clean. Yet, I am most certainly in a season of messiness. Yet, I am trusting him and excited to see where we will go together. Off we go. God, my heart is broken. What do you want me to do? I see the street kids. I learn their stories. I witness there hopelessness and desperation. I hear their pleas. I am weary. There, I said it. It’s true. What I’m not is undetermined. No. I remain determined to press on in the work God has called me to; created me for. I know he has prescribed this missionary season I am in. I know that he placed Kenya in my life’s path. He knew that while he sent me there to minister to the women, He would break my heart for the desperately hurting children in that country. He knew that I would carry a heart burden to help them and the many people I have come to love in Kenya. And oh, I do. When I stop and think about it, my weariness seems to make sense. I’ve been in missionary mode for a year and a half. I have spent a significant amount of time planning and preparing for the work that would be done there. In this year and a half, I’ve traveled to Kenya three times; nearly 60,000 air miles. I liken this season to being shot out of a cannon and still being in mid-air, not knowing when I will land. Gone is any sense of life-normalcy. Topsy-turvy is my new norm. I am away for a day before I host an all-day meeting with my ministry team. For a brief time, there are very few of my usual distractions. I am quiet. Alone. Contemplative. Which leads me to, well, me. Tuned into me now, I realize a few things I need to acknowledge. One is that in my state of weariness, which I cannot seem to shake, I’ve been regularly holding my breath. Literally. I catch myself not fully breathing in and out. I also realize that living in the states in between missionary trips is a good thing and a bad thing. It is good for obvious reasons; being close to my family and friends and the ease of daily comforts like running water and a climate I can control with a switch. But it is a bad thing too. It is harder now than ever to see how much we take for granted here, the ridiculous impatience and sense of entitlement that is becoming more and more of our norm. I realize that I don’t fully fit in anywhere anymore. 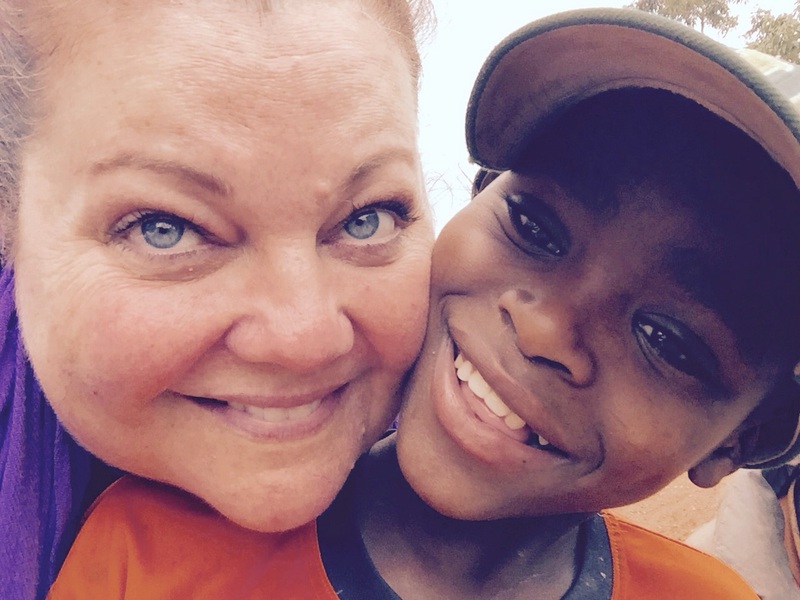 If I am here in the states, I am thinking of Kenya and missing my boys and my work there so much. If I am in Kenya, I am longing for home, my son and friends and yes, a hot shower. In either place, I am now incomplete. I acknowledge that not relying on myself for the means to support and take care of my needs is really hard! It is hard to walk away from a great salary, benefits and paid vacations. It is hard to go from a paycheck coming in like clockwork every two weeks to wondering how I will get by the next month. It is hard to now have to scrutinize every little purchase I make and severely lower my sense of reasonableness when it comes to things as simple as shampoo. Finally, it is hard to feel like no one can really know or understand me and my life now; for me to not feel more alone than ever. And it is hard to not berate myself for even spending any time on such pitiful self-focus. I am known. The Holy One who created me, who gave me this life, this heart and my determination to advocate for others. He knows me. And there it is; the realization. My weariness comes from being earthly minded. While earthly mindedness is needed so that I see the work He has called me to do, I need to be heavenly focused. Focused more intently on Him. His Word. His voice. His plan. His love. To remember that this earthly life is oh-so-temporary. It’s the next life in Heaven that holds all of the best promises; the freedom from all of the things that burden me here. The line between earthly mindedness and heavenly focused is very fine; a subtle shift it all it takes to derail me. So now, moment by moment…I’m looking up…and breathing out. Some of my precious street boys. 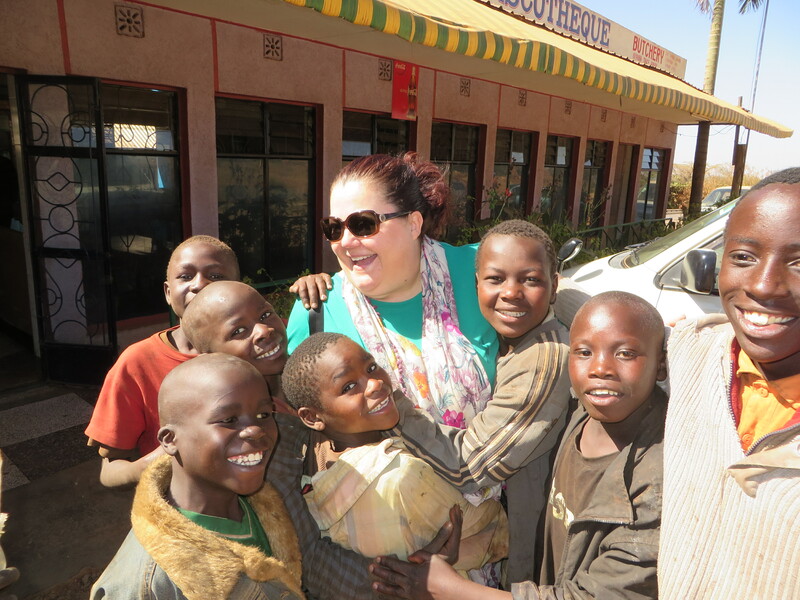 They stampeded toward me with surprise, seeing I was back in Kenya. Today, I did something I haven’t done in a month and a half; something that on the surface may not seem all that remarkable. I took a long shower. And by shower, I mean the “real deal.” Hot water, unlimited, raining down with the effortless turn of a handle. My showers in the days leading up to this? A bucket of water and pitcher I used to create my own rainfall. My shower water taken from a well, toted by a ridiculously hard-working woman who then heated it for me over a fire she built with wood; hot water a luxury, most use cold water straight from the well. My Kenyan family takes such great care of me. I am always mindful of the efforts they go through and I’m so grateful. But today, I enjoyed the kind of shower I am used to in my daily life. And it felt…so…blissful. Today, I did something else I’ve not done my most recent, 40 plus, missionary-mode days. There’s something about the safety of the shower that gives my heart room to express itself. And so today, I cried. I cried because I know the hearts of so many loved ones in Sikhendu are crying because I have left. I cried because I am now “Mama Karen” to so many Kenyan sons that I leave behind; sons who love me so much and whom I love too. I cried because I just had to say goodbye to seven of them — my beloved Upendo Home Boys — all the while knowing their hearts were deeply hurting at my departure. I cried because before I left, as we ministered through our Upendo Street Orphan Ministry, I was able to lay eyes on my eighth one, and wrap my arms around this one we lost – my beloved Joseph – who chose to return to street life and who once again looks like walking death. And I cried because he pleaded with me to take him to America; his plea one of desperation, to save him from himself. I cried because I had to say no to him, knowing from the facts that my dear one needs to be allowed to live out his choice, all the while wanting to scoop him up and take him off the streets again. 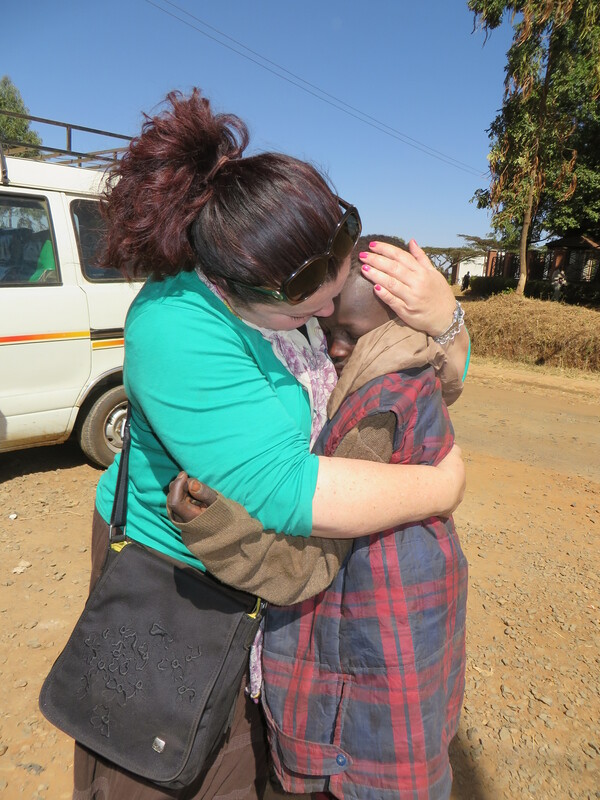 I cried thinking of the hundreds more homeless street kids I interacted with while I was in Kitale — many whom also call me Mama — that plead with me to help them. I cried because while I gave them reassurance that my team and I are working hard to do more to help them, they still must wait for relief to come. I cried because these street kids — some as young as four — struggle to even eat — every single day. They’re filthy with no place to wash themselves. They’re sick with no way to get medical care…hurting…rejected…mostly unseen. I cried because most of them are addicted to sniffing glue, with no reason to stop. I cried because I want to give them that reason. I cried because I really hope I can. I cried because I cannot get the smell of that glue out of my nose or my mind. I cried because at times, I feel like this missionary life is too much for me, that I cannot do it, that I should just give up. I cried because I know I can do it; I must do it; I want to do it. I cried because I know I am serving God and it is only through His influence that I can continue. I cried because I would not have it any other way. I cried because real faith is hard, yet God has proven to be faithful. I cried because I still have goodbyes to say here in Nairobi. The hardest one, to my adult Kenyan son – a young man that is one of the most amazing, sacrificial, giving people I have ever met. I cried because I know it grieves his heart when I leave, as it does mine. I cried because I’ve given all I have and am returning home to an empty bank account with nothing to offset that reality. I cried because I told God if I needed to sell my house I would do it. I cried because I know that I really don’t want Him to ever require that of me. I cried because I know I am to return to Kenya in August for an extended missionary season, but I have no way to know how I am going to financially manage fulfilling that commitment while also those at home. I cried because God has told me not to worry about money. I cried because sometimes, I still do. I cried because after six months at this effort to help impoverished women and children, it seems that so many who are able to help just choose to look away. 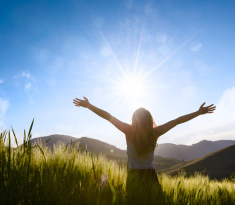 I cried because I have a team of women who persevere with me in this effort, despite the discouragement that often comes from so much seeming indifference. I cried remembering those precious friends who have stood in the gap with us. I cried because so many people rely on me greatly, both at home and now here in Kenya. I cried because I feel so hard-pressed to help. I cried because I still want to. I cried because currently, I can’t. I cried because Kenyans are the most beautiful culture of people I have ever met. So gracious, warm and friendly, even though so many of them struggle hard to even feed their families, yet, would be the first to remind you to trust in prayer. I cried because while yet on earth, because humans are sinful, there are so many reasons to shed them. Today, my tears seemed endless. My eyes are now puffy. But I believe my heart is clean – at least for now. Friends, we need you. If you’d like to stand with us in the gap, we’d be ever so grateful and encouraged to press on. Kindly make donations via the following links. Love Without Borders, Inc., is a 501c3 non-profit. I have been back in Kenya for several whirlwind weeks. Our Upendo Boys are doing so amazingly well. What an incredible transformation of seven young lives in just a few short months. The Upendo Home team in Kenya, led by Pastor Odari, are doing a remarkable job ensuring our young ones are receiving the best of physical, emotional and spiritual care. It shows. There’s been so much happening that I want to share which is challenging with an always spotty internet signal. I am determined to post, however, as my heart is heavy and I feel it’s time to share about something I’ve been holding onto since last year. If you’ve kept close track on our work here, then you’ll recall that we rescued a total of eight boys, not seven. The truth is, we lost one. My beloved Joseph. He decided to leave us just before Christmas, breaking my heart in a million pieces. So much so that I have not wanted to talk about it. As I returned to Kenya this trip, I was hopeful I’d be able to see him again as we continued Pastor Odari’s weekly feeding program, which Love Without Borders (my non-profit) is supporting. My goal in seeing Joseph was not to scold or tell him of my disappointment, though I am disappointed. No. My goal was to affirm my continued love for him and gently get him to help me understand why he would leave all the benefits of Upendo to return to street life. Just before I left last October, he and I talked about his strong desire to return to school, and I had promised him he would be doing so in January. He had no idea I was back in Kenya, nor that I would be at the location where we serve meals to street orphans. I had no way to know if I would even see him. But then, I did. He came shuffling down the street, toward the place where we feed the street kids each week. Though I wasn’t sure before that moment how I would respond, my mama instincts kicked in and I immediately went to him. Then, he saw me. He was clearly high and reeked of the unmistakable smell of the glue he’s addicted to huffing. But at that moment, all of those things fell away as I gathered him up into my arms – holding him oh so tight and close – and my silent tears began to fall. I just held him, telling him “I love you, Joseph, I love you.” This photo captures that very moment. Right after this picture was taken, I lifted his face to look into mine and realized that he was weeping too. I have other photos that show his face, but I’m not sharing them publicly to protect his privacy. Trust me, you would be shocked speechless. I’ll be honest. He looked like walking death to me. Oh, my breaking heart. My beloved, talented, bright Joseph — the very one who’s wicked smart and wants to be a professor, is an incredible artist and dancer – has succumbed to what he’s known most of his life. The streets. His own way. Glue. Despair. Regardless of living in the freedom of his choice, his face told such a dramatic story of loss and confusion over his decisions. Confusion he shared with me as even he said he does not understand his choice. Then came the moment for my heart and my head to debate. Of course, my heart immediately wanted to take him back, try again to restore this dear one so lost. But in my head, I know that he’s not ready to fully yield and humble himself as is required to live with the other boys who are doing so well. I know it is not fair to drop a bomb like Joseph back into the middle of all of the good progress that has been made at Upendo Home. Though I know the boys well enough to know they would welcome him back, despite how mean he was to them and how much he hurt them, physically and as their friend. Trust me when I say that we did not agree to let Joseph return to the streets without much counsel, assurance of our love, prayer, pleading and reasoning with him over many weeks of time. We did not let him go easily. It hurt us all deeply to lose him. But our boys get to choose. Joseph chose to go, and go he went. Making the decision to let him go, to allow him to live out his choice is incredibly hard. There’s one thing that gives me comfort and assurance above the mind-numbing and heart wrenching circumstances. Joseph knows and belongs to the Lord, who promises that He remains faithful to those who know his voice, even when they stray. Joseph is my precious little sheep too. I will forever be mindful of him, looking for him, encouraging him and loving him. That we lost him to the streets just affirms for me that more needs to be done for hundreds of older boys who may choose to remain in this way of life as the only one they’ve known. There are hundreds. But for all of their street wisdom, these boys are still children. Children who will grow into men one day and still need a way to live beyond their dismal beginnings. That has given me a lot to think about as we plan future ministry to the street orphans. I love you Joseph, I love you. Friends, we need to intervene earlier in lives like Joseph’s to help orphaned children avoid the pitfalls and negative influence of street-life. My Love Without Borders team is working hard to stand in the gap. You can help make a tremendous difference by supporting our work with a one-time or ongoing donation here. Thanks ever so much for caring without borders.